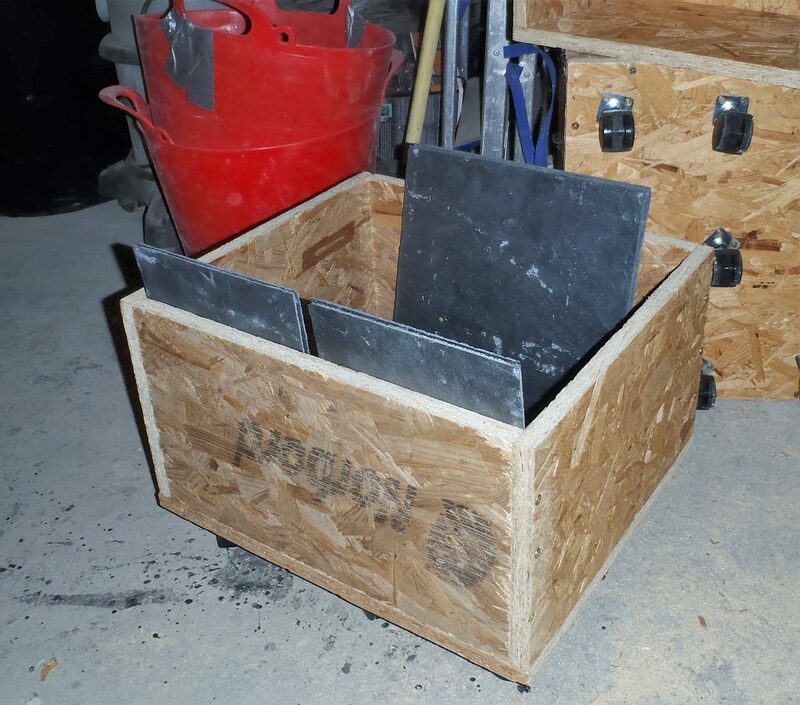 After having a major tidy-up in the workshop (to clear away the tools and mess from building our filtration module), we started on making various pieces of equipment to help us in getting the Slates up onto the roof. Today, we created four dolly trolleys to help transport a heap of Slate tiles from our storage area alongside the Loke and get them to where we would be currently working on the roof. 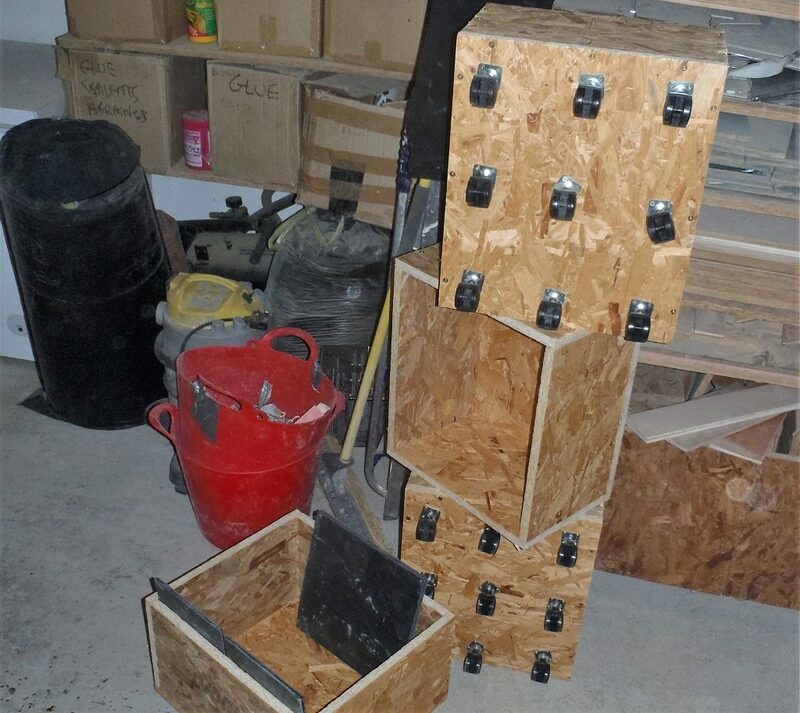 They are made out of 18mm OSB board, each dolly is 425mm wide by 400mm in the other dimension and 240mm high, big enough to allow us to pack about 150 slates, in two rows of 75, held vertically (They will weigh up to 150 Kg or 330 lbs i.e 23 stone!). We put on nine little office chair type of castor wheels on each and we tested them by crouching down in the box and get pushed along the floor! These will go onto a vertical lift mechanism to take each one up to the walk-way platform, we will design and make the lift next week.